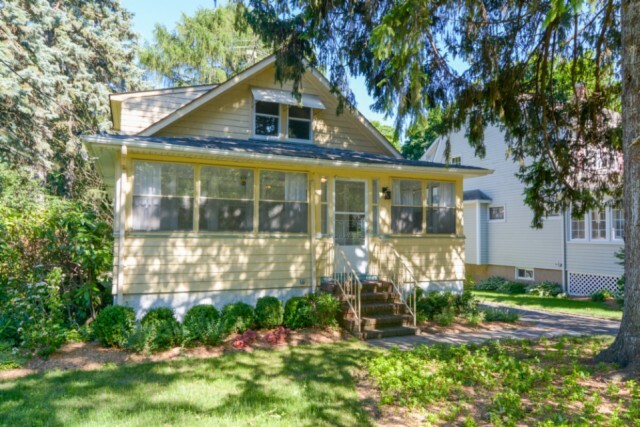 What is Your Wyckoff Home Worth? The perfect home for someone who appreciates something old and something new. This charming cape has original wood doors with crystal knobs and refinished hardwood floors – yet a new kitchen and bath. In front there&apos;s a soothing lemonade porch, and a living room – a very large one for a cape – with windows on 3 sides. The kitchen has new flooring, cabinets, stainless appliances and granite. Even the back porch has charm. The 1st floor also has a bedroom/dining room and a full bath that&apos;s entirely new. Upstairs are 2 more bedrooms and a hall bath. The front bedroom even has a walk-in closet with window. A freshly painted walk-out basement has laundry, partially finished playroom and workshop. Outside is a paradise for both gardeners and athletes – the home is surrounded with various flowering plants and shrubs. And behind the detached garage is a surprisingly large flat yard with full privacy.